Product prices and availability are accurate as of 2019-04-20 02:03:00 UTC and are subject to change. Any price and availability information displayed on http://www.amazon.com/ at the time of purchase will apply to the purchase of this product. Using a subway tile as a backsplash will add dimension and style to your kitchen decor or any decorated space within your home. The catalina white 3 in. X 6 in. 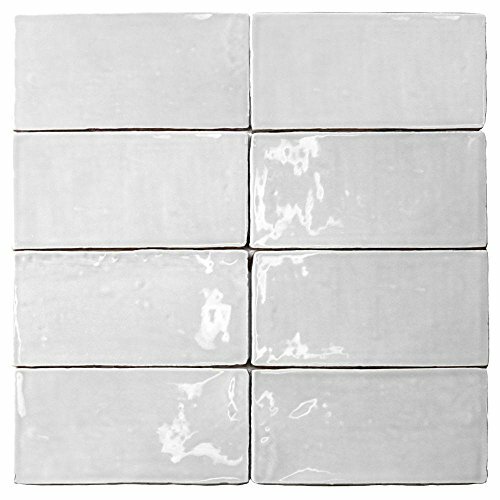 X 8 mm ceramic tile, set of 8 has a very distinct look that will inject a dose of traditional and contemporary feel into your room. Please note that each unit comes in eight loose pieces.